Listen to what Eddie Izzard has to say about talent – You Can't Hide the Spark! I stumbled across Nat Russo’s blog A Writer’s Journey last night, and read something so insanely inspiring, it needs to be shared! I had to dig down deep and wrench it out of myself, and every day was a struggle. I’m pretty sure I fist-pumped the air at this point and muttered YEEEEEEEESSSSS! 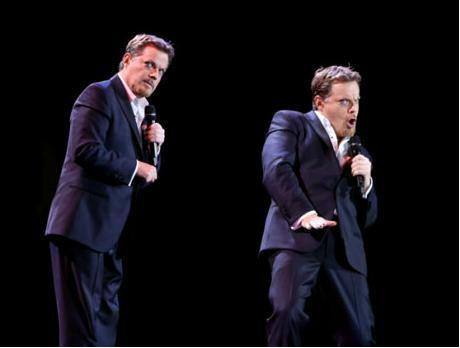 Eddie Izzard is a genius, right? But he was once a so-so comic. I hope I’m not the only person to find that insanely inspiring? Because “so-so” is exactly how many of us feel about our writing. Give me a non-fiction book to write and I’m up and running – ideas, chapter headings, paragraphs; they all download into my brain at alarming speed. But the second I switch to fiction, I’m like a fish out of water. Plot? Character? Pacing? Gasp! Why is it all such a struggle? That’s why, when I read this last night, I knew I had to share it – for everyone battling with this issue right now. It’s OK to be a so-so writer. It’s OK to write crap first drafts (and seconds, and thirds). And it’s OK for it to be teeth-grittingly hard work. “So-so” is where everyone starts. Including Eddie Izzard. I find that incredibly reassuring. Previous Post ‘One Book a Month’ campaign has lift off! Wait, what? I can be OK now and great later? That’s a relief. I know, it’s such a relief to be able to postpone greatness, isn’t it? Who knew?! Thanks so much for sharing this. I found it every bit as inspiring as you did. It made me want to drive straight home and write! And I probably would have if it weren’t already so late when the show ended. Like you, I’m of the opinion that Eddie is brilliant. What an overwhelming feeling of relief it was to hear that he didn’t start that way!